Emergency operations managers in the Rio Grande Valley are in agreement the hurricane season, at least for them, has evolved into a year-round event. “There is no season for emergencies — Mother Nature works in mysterious ways,” said Ricardo Saldana, emergency management coordinator for Hidalgo County. “Let me give you an example,” he continues. “Our spring weather you saw what happened in Oklahoma City, Arkansas, and you saw last year the straight-line winds, and then the hailstorms in the early part of April and latter part of March this year in Willacy County. “These are the ones we’re more afraid of, because they don’t give us a warning,” he said. Emergency management coordinators in the Valley, like Tom Hushen in Cameron County, provide insight into what emergency preparedness looks like. And the nuts-and-bolts of training and planning involve issues you may not think of when you think disaster. “Right now, all our public works staff is being trained within the incident command structure, which is very good, because not a lot of public works departments do this,” he says. In addition to coordination with other counties on pickup points, evacuation routes and sandbag distribution, Hushen said they also discuss where to house officials from Washington or other states, and where to put up National Guard troops. “For instance, we’re going to be putting on damage assessment training so our cities will know how to go out and do damage assessment,” he says. “The city of Harlingen is doing a finance class so city officials know how to do FEMA paper work,” he adds. Given that modern emergency preparedness is now a 12-month job, at times these disaster coordinators have a tough sell, particularly when the days are sunny and cares are someplace else. 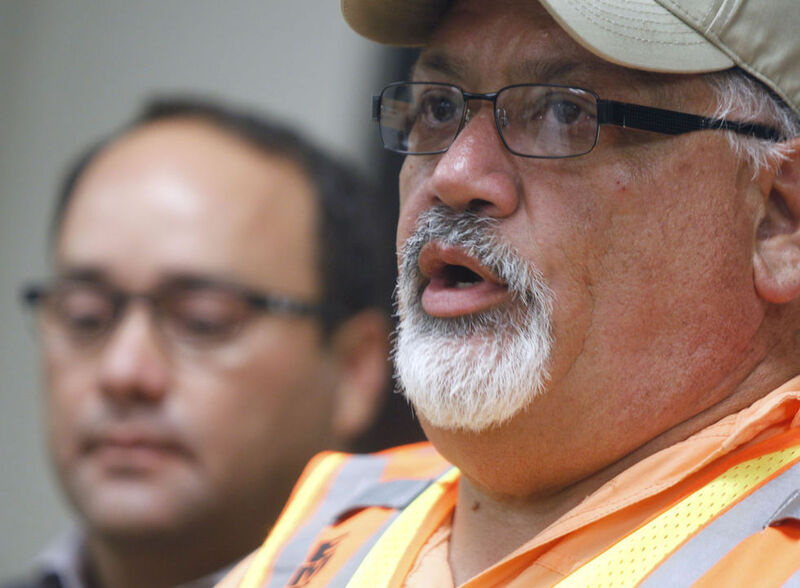 “Nobody thinks about the emergency manager until you’re up to your neck in water, whether from a hurricane or something man-made, like a terrorist attack,” says Frank Torres, emergency coordinator for Willacy County. Although Hidalgo, Cameron and Willacy county officials work closely on disaster planning, there are differences when it comes to hurricane preparedness. Willacy and Cameron, being on the coast, face a higher threat from damaging winds and storm surge than inland Hidalgo County, where flooding has historically been the most immediate hurricane-related problem. “We’re a coastal county, so we are an evacuation county,” Torres said. “We try to discourage people from sheltering in place during a hurricane. “Our priority during a hurricane is to make sure people understand we are in a flood zone and it’s not going to be pretty whether it’s a Cat 1 or a Cat 5,” he added. All three emergency coordinators stress that, like hurricanes, their preparations don’t follow county lines, either. They say little of their planning is done without consultation with other counties.